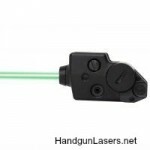 Excerpts from and links to all our info pages for handgun laser sights that cost from $151-$200. This entry was posted in $101-$150, $151-$200, Green, Leapers, Rail and tagged Laser-Light Combos on November 7, 2013 by Briley Kenney. This entry was posted in $101-$150, $151-$200, $201-$250, $251-$300, $301-$350, $51-$100, Barska, Rail, Red and tagged Laser-Light Combos on October 26, 2013 by Briley Kenney. This entry was posted in $151-$200, $201-$250, $251-$300, $301-$350, Barska, Green, Rail and tagged Laser-Light Combos on October 26, 2013 by Briley Kenney. This entry was posted in $151-$200, $201-$250, $251-$300, $301-$350, Barska, Green, Rail, Red on October 26, 2013 by Briley Kenney. This entry was posted in $151-$200, $201-$250, Beamshot, Rail, Red on October 26, 2013 by Briley Kenney. This entry was posted in $101-$150, $151-$200, ArmaLaser, Frame, Heckler & Koch, Red on October 24, 2013 by Briley Kenney. This entry was posted in $101-$150, $151-$200, $201-$250, Rail, Red, Streamlight and tagged Laser-Light Combos on October 24, 2013 by Staff 3. Rating: 5.3/10. From 4 votes. This entry was posted in $151-$200, Frame, Red, SIG Sauer, SIG Sauer on October 24, 2013 by Staff 3. This entry was posted in $151-$200, Green, Rail, Sightmark on October 24, 2013 by Staff 3. This entry was posted in $151-$200, Frame, LaserLyte, North American Arms, Red on October 24, 2013 by Staff 3.